Following the nationalisation of transport in 1948 the British Transport Commission set up its own in-house film production unit. Launched on 1 May 1949, and led for 25 years by Edgar Anstey – a foundling father of the British documentary movement – it became one of the largest industrial film units in Britain. The first volume in a series of 6-disc box sets contains classics as Terminus, Blue Pullman and John Betjeman Goes by Train, as well as lesser-known gems, including Under the River, Cyclists Special and E for Experimental. 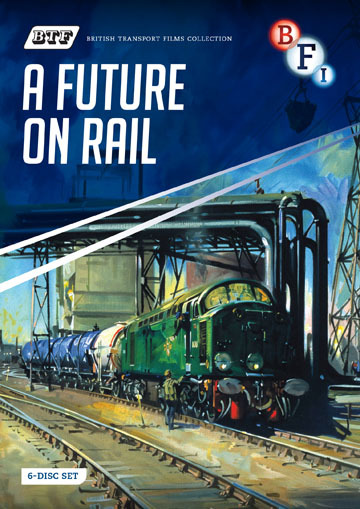 This digitally remastered collection is a must for the transport enthusiast and the documentary aficionado alike. It includes a fully illustrated booklet with extensive films notes by BFI curators, and full credits.